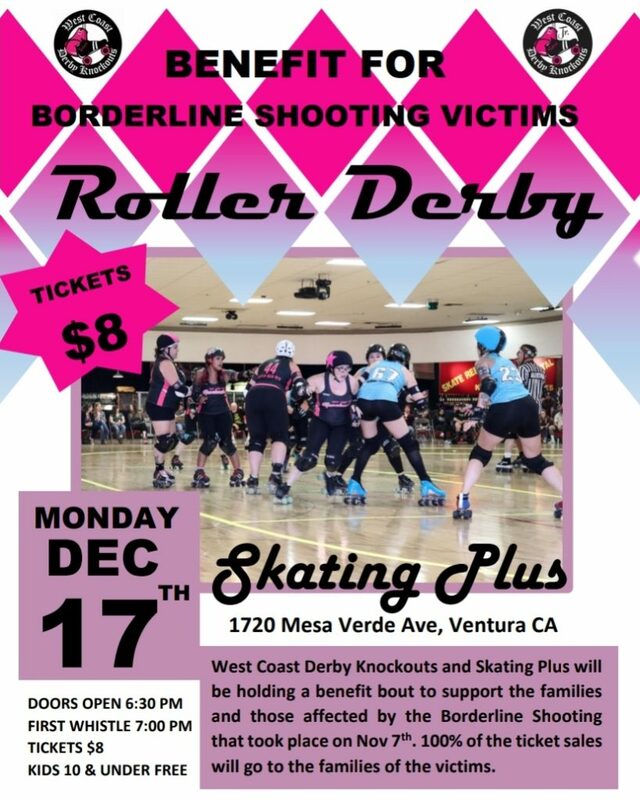 Join us tonight as our West Coast Derby Knockouts skate a benefit bout. All proceeds to go to the victims fund for the Borderline shooting. Bout starts at 6:30 p.m.